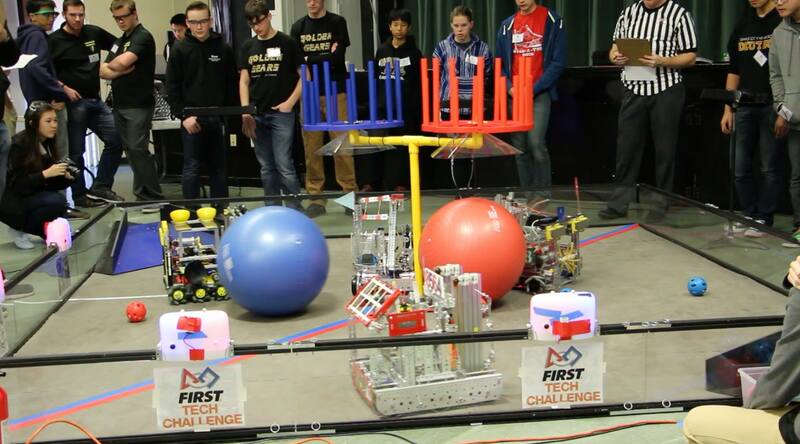 Members of the Fusionyx robotics team compete in a qualifying competition earlier this year. Teams prepare for the FTC West Super-Regional Championship in Tacoma, Washington March 10-12. The robot doctor station is readied at the FTC West Super-Regional Championship in Tacoma, Washington March 10-12. SCE engineer Ana Hafiz prepares tools at the robot doctor station last year in Oakland. 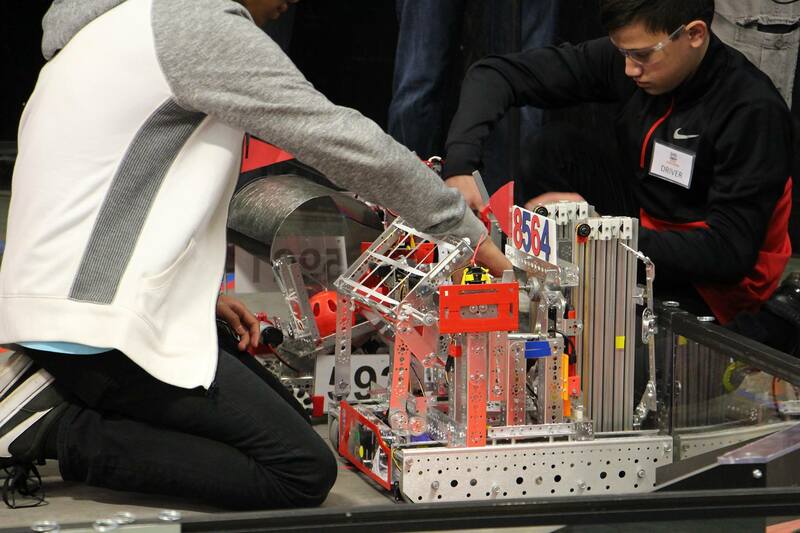 Funded in part by Edison International, two robotics events aim to inspire STEM education. 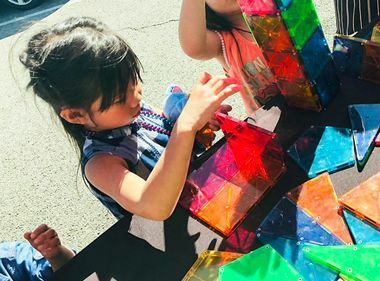 If students at the FTC West Super-Regional Championship in Tacoma, Washington are ever left asking doctor, doctor give me the news about their ailing robots, they’ll get it and plenty of help at the robot doctor station. The robot doctor station, where engineers help students troubleshoot problems, is a key component of the competition beginning today at the Greater Tacoma Convention and Trade Center. More than 1,000 students from 13 western states in grades 7-12 have built and programmed robots to compete in head-to-head robotics matches and they require constant adjustments. Team Marlbots competes in the LA Regional Tournment earlier this year. 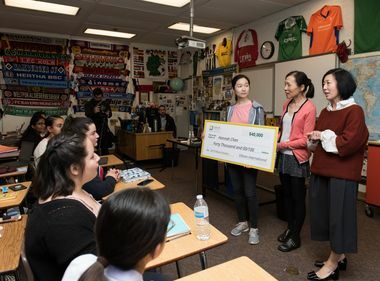 Edison International is not only supporting the robot doctor station at this competition, but also the March 30-April 1 FIRST Robotics Orange County Regional in Irvine in an effort to help students discover the rewards of a career in science, technology, engineering or math (STEM). 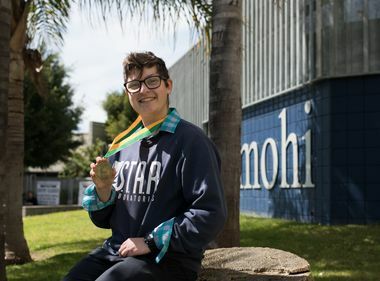 Ana Hafiz, a Southern California Edison engineer, discovered firsthand the joys of the competition while assisting teams at the robot doctor station at last year’s western regional championship in Oakland. 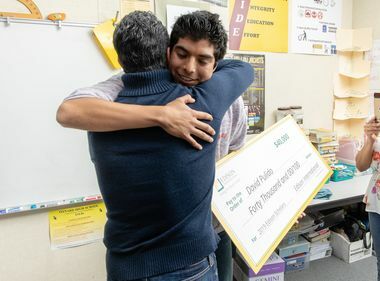 “Not only was I blown away by the students’ enthusiasm, I was also encouraged by their problem-solving skills, work collaboration and respect for each other,” said Hafiz, who has spent seven years at SCE and looks forward to a role at the Irvine event later this month. Team Lockdown competes in a qualifying competition earlier this year. 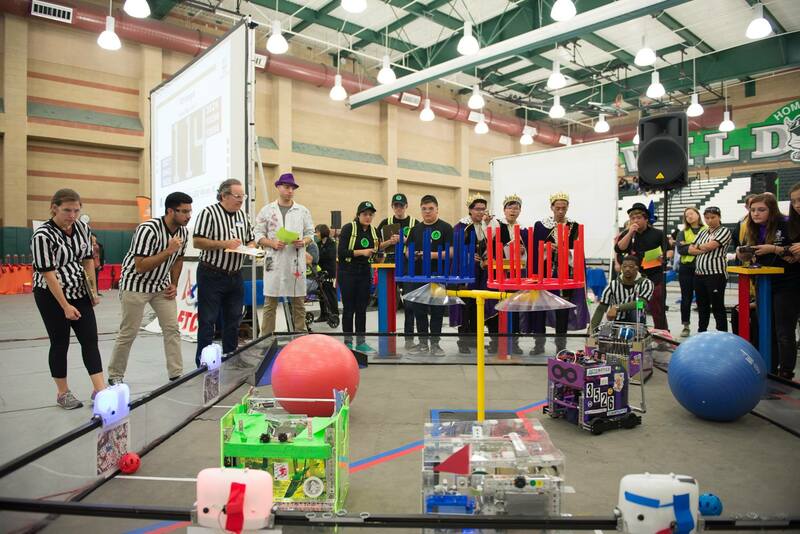 Southern California teams hoping to enjoy a thrilling experience this weekend include Robohazard and the Ducks from Western Center Academy in Hemet, Fusionyx from the Motivational Learning Institute in Walnut, WHS Robotics from Whitney High School in Cerritos, Suit Bots from Monrovia High School and Lockdown, a community team from San Gabriel.